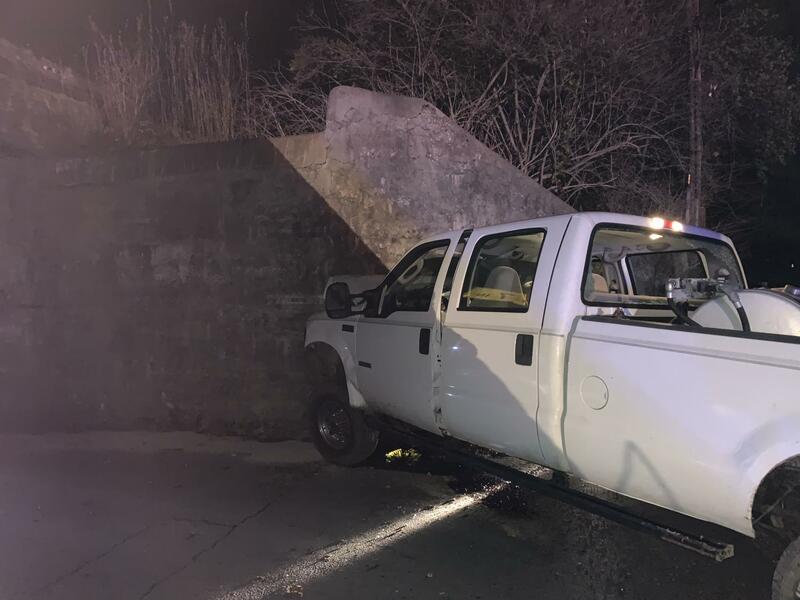 The driver of a white Ford pickup truck struck a railroad bridge along State Route 666, West of Riverside Park Tuesday night around 6 p.m. According to an Ohio State Highway Patrol Officer on scene, both the driver and his female passenger were transported to Genesis Hospital by ambulance with non-life threatening injuries. Both occupants’ air bags deployed upon collision with the bridge. The officer confirmed that the crash was not alcohol related. According to the Trooper, the driver said he misjudged the curve while driving too fast. No other vehicles were involved. Ohio State Highway Patrol, Washington Township Fire Department and Genesis Community Ambulance were all on scene.